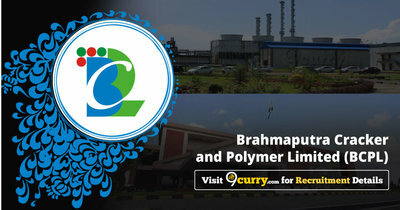 BCPL Recruitment 2019: Brahmaputra Cracker and Polymer Limited (BCPL) / www.bcplonline.co.in is conducting recruitment processes to fill 67 vacancies. As of now, there are two recruitment drives going on for Apply Online for 66 Graduate & Technician Apprentice Posts and Apply Online/ Offline for Managing Director Post. BCPL Recruitment 2019 - Apply Online for Dy GM & DM Posts in BCPL, West Bengal. Online Applications are invited by Brahmaputra Cracker and Polymer Limited (BCPL) from 06 Mar 2019 10 AM to 31 Mar 2019 11:59 PM for 3 vacancies. BCPL Recruitment 2019 - Walk in for Dy. General Manager & DM Posts in BCPL, Assam. Candidates are invited by Brahmaputra Cracker and Polymer Limited (BCPL) to attend walk-in-interview to be held on 15 Mar 2019 for 3 vacancies. BCPL Recruitment 2018 - Walk in for Senior Manager (Law) Post in BCPL, Guwahati, Assam. Candidates are invited by Brahmaputra Cracker and Polymer Limited (BCPL) to attend walk-in-interview to be held on 02 Jan 2019 for 1 vacancy. BCPL Recruitment 2018 - Apply Online for DGM, Ch. Manager/ Sr Manager & DM Posts in BCPL, Across India. Online Applications are invited by Brahmaputra Cracker and Polymer Limited (BCPL) from 29 Sep 2018 at 10:00 AM to 22 Oct 2018 till 11:59 PM for 4 vacancies. BCPL Recruitment 2018 - Apply Online for 19 Foreman, Operator & Technician Posts in BCPL, Assam. Online Applications are invited by Brahmaputra Cracker and Polymer Limited (BCPL) from 11 Jul 2018 at 10:00 AM to 10 Aug 2018 for 19 vacancies. BCPL Recruitment 2018 - Walk in for Machine Operator Posts in Department of Production, BCPL, West Bengal on Contract Basis. Candidates are invited by Brahmaputra Cracker and Polymer Limited (BCPL) to attend walk-in-interview to be held on 25 Apr 2018 11:00 AM. BCPL Recruitment 2018 - Apply Online for 39 Apprentice Posts in BCPL, Assam. Online Applications are invited by Brahmaputra Cracker and Polymer Limited (BCPL) from 23 Mar 2018 to 15 Apr 2018 for 39 vacancies.